I have a sweet book by Mary Engelbreit to share with you today. This book features poems and short stories with the beautiful illustrations from Engelbreit we've all come to love. The Bedtime Book is perfect for cuddling at the end of the day with your little one and sharing a few moments of reading time. The pictures of many different animals are adorable to look at and go right along with the stories. Lays a kiss upon your nose. 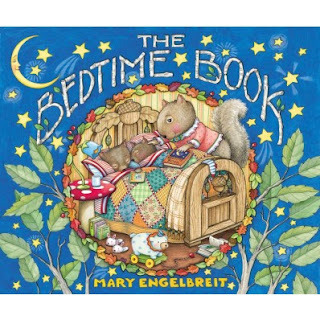 New York Times bestselling author Mary Engelbreit presents The Bedtime Book, a beautifully-illustrated picture book that pairs sleepy time text with Mary’s beloved, timeless art. From endearing poems and snuggly stories to sweet blessings and precious prayers, each page of The Bedtime Book features ways for you to read your little one to sleep. The Bedtime Book has a beautiful cover decorated with embossing and spot gloss. Visit Zondervan.com for additional information. ARupLife.com received product, press or compensation to facilitate this review. This post may contain affiliate links, which means that by clicking on an affiliate link I may receive a small amount of money. We only give our honest opinions of products. This post is in accordance with the FTC 10 CFR, Part 255 concerning the use, endorsements or testimonials in advertising..